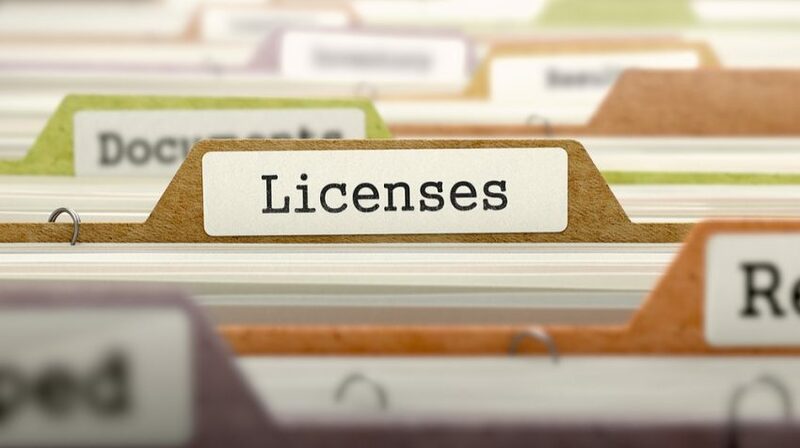 Does Your Business Have All of Its Required Licenses and Permits? When you’re launching a business, it can be confusing to understand all the legal obligations involved. Do you need a small business license or permit? How do you register your new business? Most small business owners want to operate legally, but it can be tricky to know exactly what’s required. All businesses are required to have some form of license or permit, but the specific requirements depend on your location and business type. In this article, we’ll break down some of the specific business permit and license types so you can get a better understanding of what you might need. As we’re closing out the year, this is a good time to revisit your legal standing and make sure that you’re operating to the letter of the law. The good news is that if you discover you need a permit or small business license, getting those new permits is a relatively simple and inexpensive process. Are My Small Business License and Permits in Order? Before you can do anything else, you need to register your new business with the state. This step provides the legal foundation for everything else to come. I like to think of it this way. Registering a business provides the legal foundation and a business license(s) gives you the right to operate your business (just as a driver’s license gives you the right to drive a car). You can register your business in two ways: either by forming an LLC/corporation or filing a DBA (Doing Business As). Both are equally valid ways to register. The LLC/corporation will cost more and be a little more involved to operate than a DBA, but provides the key advantage of separating you from the business to help protect your personal assets from things that happen in the business. After you’ve registered your business with the state, you can move on to figuring out your small business license and permit requirements. As I mentioned before, every business will need some kind of permit or license. This is true whether you work from home or have some kind of office or store. The main reason is that the government needs to track your business’ revenue for taxation purposes. And in some cases, licenses are required to protect the public. Specific permit requirements vary by business type. As expected, a home contractor or daycare center will have stricter permit requirements than a web designer. The best way to make sure you have all your bases covered is to have a service research what you need for your business type/location. You can also visit the SBA.gov website, or contact your board of equalization offices directly. General Business Licenses: Most businesses will typically need to get a general business license. This is basically an annual license issued by your local city or county that lets them track the businesses operating in their area. Professional License: Some professionals will need a license to demonstrate their proficiency. This is required to help ensure the safety and wellbeing of those who might be using your services. For example, dentists, accountants, hair dressers, doctors, and contractors must have professional licenses. Sales Tax License: If your business sells goods or services (and you operate in a state that charges sales tax), you will need to get a state sales tax license. Check with your state revenue agent to determine if your products or services are considered “taxable” or not. Keep in mind that sales tax can apply to services, not just retail items. Health Permits: You will need to get a local health permit if your business sells products that are consumed (food) or touch the human body (i.e. a nail salon). Health permits typically require an annual inspection. Examples of businesses that need health permits are: restaurants, cafes, food trucks and wholesale food manufacturers. Signage Permits: Some county/city zoning departments require a permit in order to put a sign up for your business. Fire Permit: If you operate a physical space that’s open to the public, you will need to get a permit from the fire department. This is also true if you will be using any flammable materials in your business. Home Occupation Permits: If you work from home, you may need to get a permit for a home-based business. This is true even if you’re just a freelancer or consultant. Keep in mind that if you operate a business from your home like a childcare facility or food production business, you will need additional permits as well. If you’re just launching your business, you’ll want to get all your small business license and permit paperwork in before you officially launch to the public and start taking in revenue. If your business is already going, you should try to take care of any overlooked licenses as quickly as possible. Operating without the right permits and licenses can result in fines and tax problems. In some cases, your business could even be shut down. And, once you have all your licenses and permits in order, you’ll need to manage them throughout the course of your business. Keep track of renewal dates and maintain a copy of all the applications/permits in your business records. In some cases, you may need to display your permits prominently so customers can see them. Find some time before the year ends to review your business permit and licensing requirements. This way, you can start the new year knowing that all your legal ducks are in a row!